I’ve had quite a few haggling sessions with local vendors, cabbies and others. But a technique I saw used in India is different than those I’ve seen elsewhere. It’s pretty effective though. When hailing an autorickshaw (also called a tuk-tuk) from one Mumbai airport to the other, one of the police officers told me that I shouldn’t pay any more than 100 Rupee – but that the drivers would try to charge more because of time of day. Good information. So I flagged down one of the drivers and he started me off at 150. I countered with 80, he went to 120, but wouldn’t go lower. “Ni-time cost moah.” He continued, “Eet ees not pah-mitted to peeck ahp heeah. Beeg fine.” “Mahch chiper dan taxee.” I went to another driver and he started at 180 INR and gave me the same lines about higher cost for night time and being the wrong area for picking up customers. I walked away from him too and the first guy came back and told me OK, he’d take me. For 100, I asked? 120. Back to where we left off – that’s not a negotiating technique. So I turned and started to walk away. He said OK 100. That’s a similar technique some of my neighbors use when I have them do yard work. We negotiate to a rate I’m happy with, then after they’re done ask for more because it was bigger than they’d thought. I turned away the tuk-tuk driver. I usually give in to my neighbors. Just beware this haggling technique when in India and understand you may get hit up for more after you get what you want. Half a world away, across 13.5 time zones, enduring 18-20 hours of flight time and a layover, endured four straight airplane meals, I have arrived. Mumbai. Formerly Bombay. The airport was a good welcome to the country. Hot, sticky, dusty, loud, smelly, crowded, and chaotic. As someone told me before I left, India is an assault to the 5 senses. That’s not always a bad thing – sometimes the combat does you well. For example, the smells of a very spicy curry wafting from a roadside stand. Or the overpowering taste of some new and unknown fruit. Or the shocking blast of air conditioning upon stepping out of the sweltering heat. Yes, India is a land where your senses will be overwhelmed. The whole country seems to live like that, going from one extreme to another. India’s clash between its history and its future is also a contrast. In many ways it still operates in its historical pattern and in some ways it has left that behind. In India much moreso than in any other place I’ve been, people still wear the traditional dress. Sarees, Bindis, Kurtas, are everywhere. Traditional garments seem to outnumber western ones, even in the cities. And bureaucracy reigns supreme in most places. At the airport going through security I was stopped because my ticket wasn’t stamped. It was one guy’s job to simply stamp the ticket at the counter. Even though I’d used the automated kiosk a red mark needed to be put on it for it to be valid. India has a large upwardly mobile population, as well as a large population stuck in poverty. Still somewhat stuck to its old ways, India’s caste system is still somewhat in place, though on shaky ground. This also means that the tradition of servility is in place. Many of the wealthier Indians and foreigners hire full-time servants for things like driving, cleaning and cooking. I’ve been told these salaries may range from $40 to $250 per month. But that is changing, too; as opportunity comes to India money and business success is becoming the new caste structure. Some formerly from the lowest caste have become multi-millionaires. And India can be very confusing. 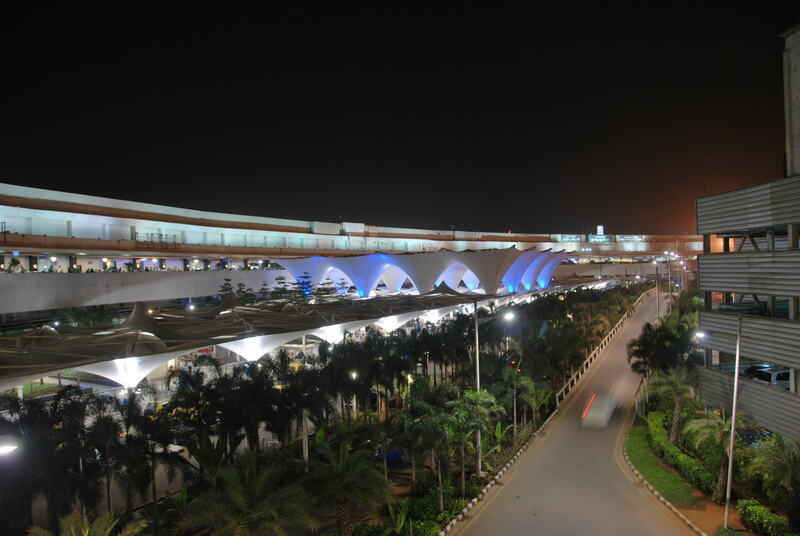 For example, Mumbai has two airports separated by 7 km – both with the airport code BOM. So if you’re flying into the country there, then on to another area keep this in mind. Nothing like getting caught at the wrong airport and wondering where your flight is. By the way, the going rate for an autorickshaw (also known as a tuk-tuk) ride from one to the other is about 100 Rupees – $2.50. Learn how the Indian drivers haggle. India reminds me somewhat of China. And that’s not surprising. Both countries are climbing their way from third-world to first-world status seemingly in a generation. The pace at which each country is modernizing is shocking. And with that modernization come the natural byproducts of construction, squalor beside luxury, cultures intermingling, over crowding, breakdowns in etiquette, etc. It’s very much the feeling of a runaway train going at full speed. You’re going somewhere really fast but staying on the tracks is problematic. In India this is more of a problem than in China because India is a democracy. Whereas China can shut down production in one area and relocate it overnight, India must nudge the free market. And controlling the direction of the economy means that bribery and corruption are natural outgrowths. This is something both countries have been struggling with in recent years; trying to get it under control. China simply executes those it deems guilty, but India cannot take such a harsh stance. From the feel of things, India seems to be doing a better job of reigning in corruption. China seems to be paying lip service but only needs an occasional scapegoat. But despite its current challenges, India is a great place. It’s a country moving upward in the world. Quickly modernizing and becoming connected to the rest of the world.